Huh? The 60s was a nicotine stain. You can’t remove the 60s from this design ma’am. I used prozyme to remove nicotine from the walls of my 1st house. Stuff ran like gravy but it worked. You can’t remove the 60s from this design ma’am. I love the stuff you don't see everyday. 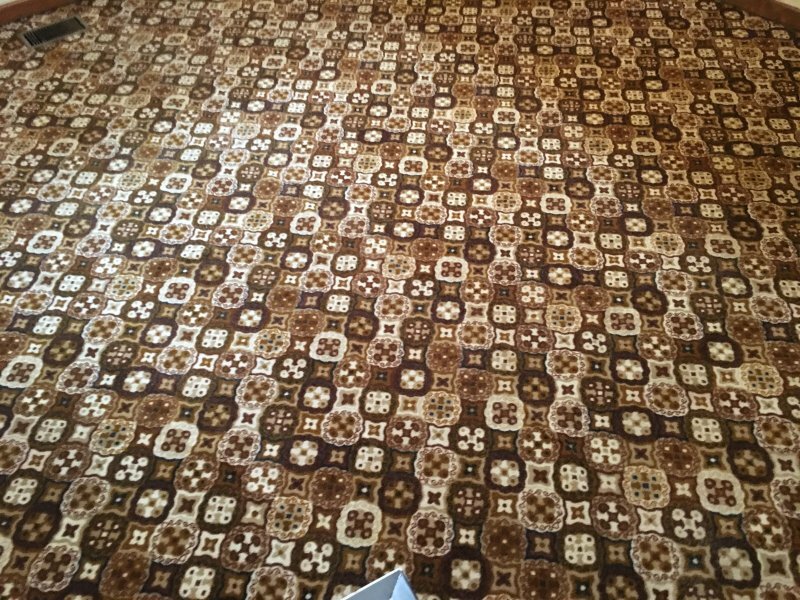 We used to have some commercial carpets that if you looked at it long enough, you would get dizzy. Hope you put some 40 vol in your sprayer. Corners would have prevented those lite scratches on the door. Rookie! Matt, what a trip down memory lane! In 1979 we had the same exact carpet in our kitchen in our home. Popular in mobile homes up here. People get them out of the dumpster and install it in their trailers. Economic trickle down from the rich folks out in the burbs. Well? How is it holding up? Good enough to roll a body up in?